Stephen Shubel, the founder and President of Stephen Shubel, Inc., grew up in the San Francisco Bay Area. An early passion for art led him to study at California College of the Arts. There he knew immediately that interior design was to become his life's direction. He launched his design career as an independent designer early and never looked back. 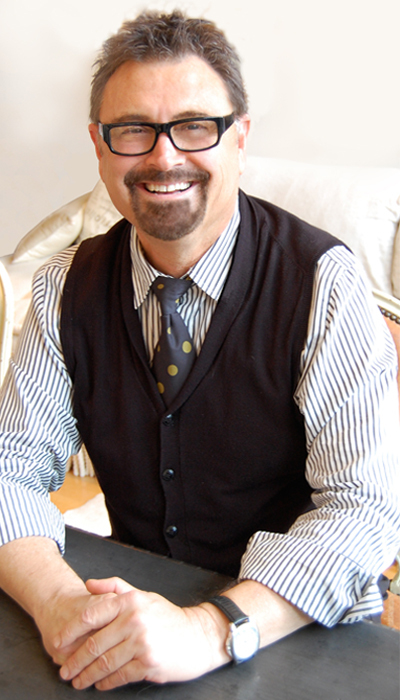 Today he is one of the most published interior designers and well-received decorators on the West Coast. Influenced by international travel, Shubel honed his eye to appreciate the beauty in antiques and unique items from all over the world. Spending time in Europe he developed a respect for anything done well and done with a relish for living. He has grown to realize that beauty can be seen in both the simple and the sophisticated. Today he is known for his straight-forward approach, whether his client is an Academy Award winner or a young fashion model. Over the years his style can be described as eclectic, comfortable, striking, understated, elegant, timely, fresh, and even classical. All these results are achieved with a single obsession for pleasing his clients' dreams and their personal styles. The measure for any of his success is to always be true to his own sensibilities. A diligence for details and an inherent talent for understanding color, space, and texture, is always seen in his work. Shubel's interiors are honest and livable. In 2011, House Beautiful honored Shubel with inclusion in its Roots of American Design, a milestone project highlighting the lineage of significant American designers from the nineteenth-century to present day.